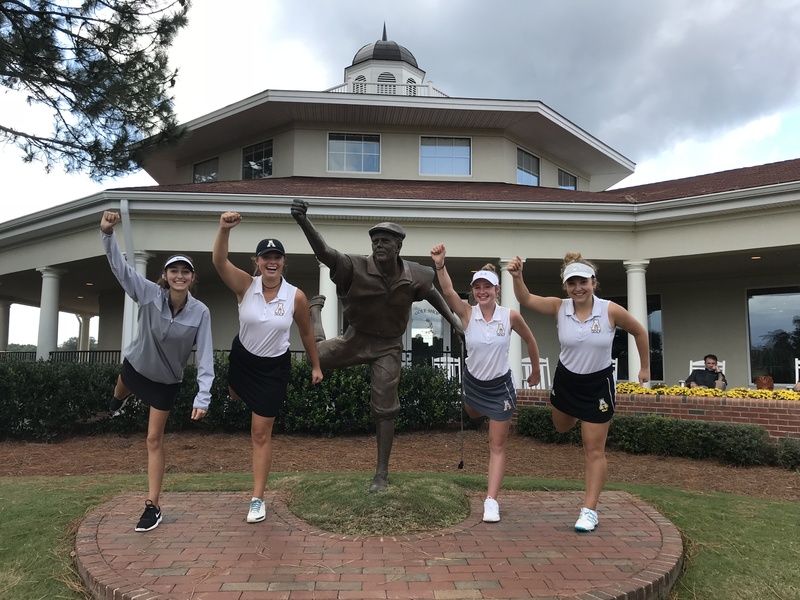 The Apex Women’s Golf team returns to State Championship competition for the first time since 2011 this Monday and Tuesday (Oct. 22-23) for the NCHSAA State Championship at the 36-hole tournament at Pinehurst No. 3. Margaux Whitley, Abby Loding, and Madison Winn qualified individually for States at this past Monday’s NCHSAA Central Regional at Pinehurst No. 1, and by qualifying three or more players, this earned Apex a coveted team birth. Apex: Only SWAC Team State Qualifier. Most individual qualifiers from the SWAC. Learn more by visiting the NCHSAA Women’s Golf Website.